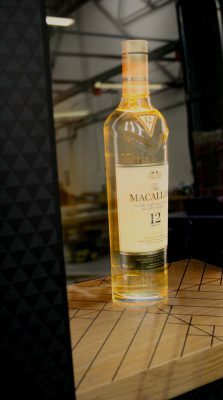 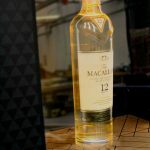 EVM were commissioned to manufacture four bespoke whisky bars for The Macallan, the leading international luxury single malt, as part of the brand’s 150 year celebrations and the opening of a stunning new £140 million distillery on the beautiful Easter Elchies estate on Speyside. 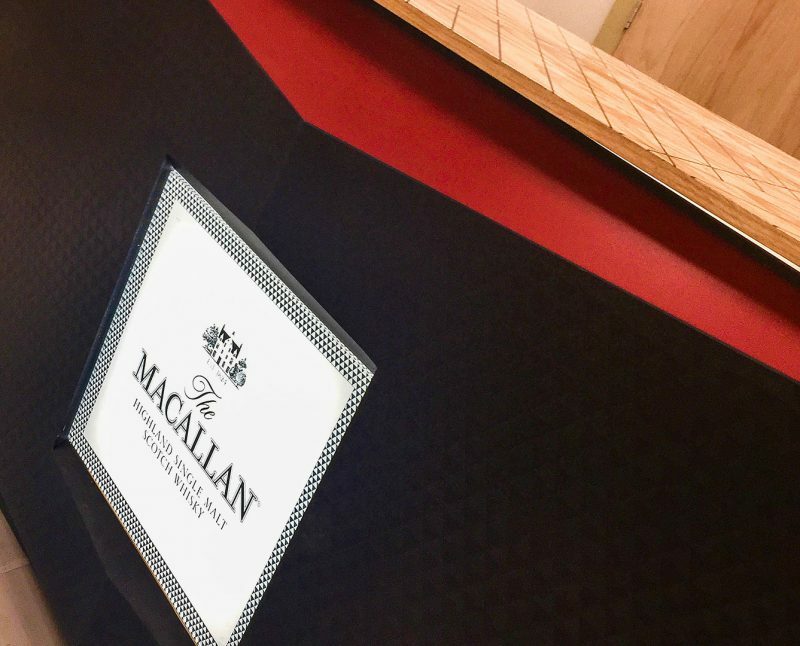 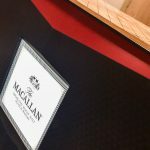 The Macallan whisky bars were designed for welcoming international VIP’s to Scotland before visiting The Macallan’s awesome new distillery. 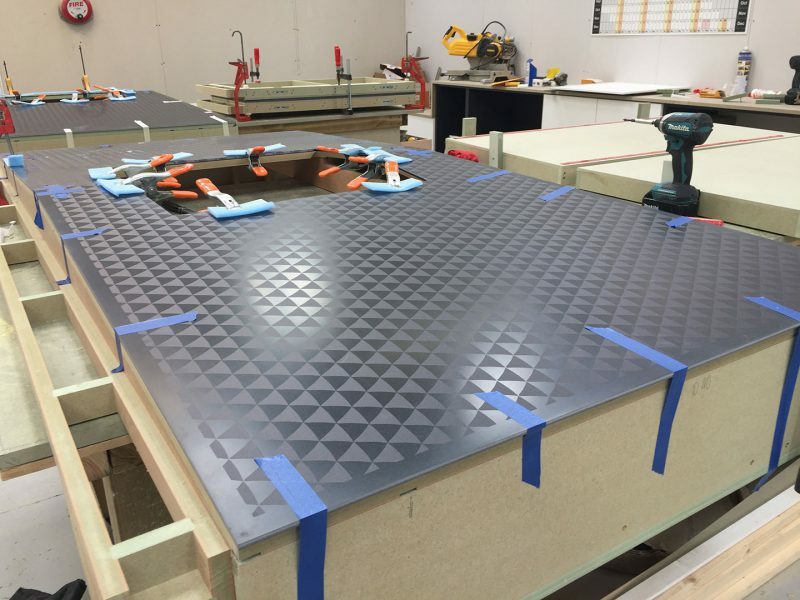 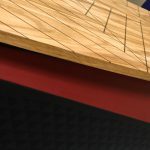 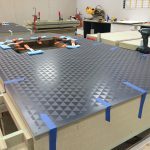 EVM lovingly constructed the bars from American White Oak, Corian and aluminium, taking great pains with the attention to the finer detailing. The aluminium was printed using a UV cured direct to substrate process, which faithfully reproduced the iconic brand heritage markings. 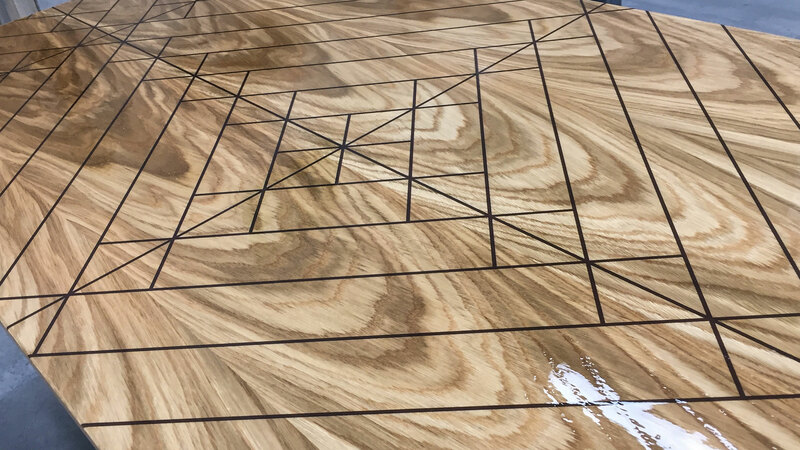 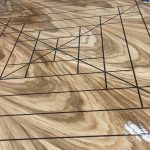 The American White Oak was also printed using our UV print process before being sealed with a tough high-sheen finishing coat. 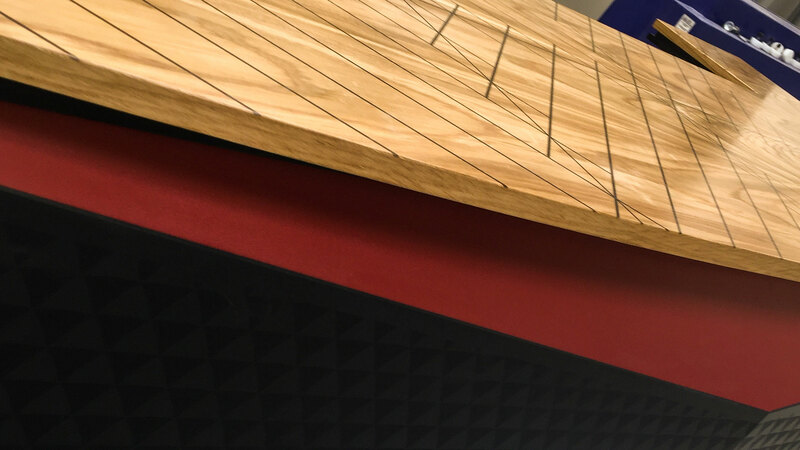 The bright red Corian provided a vivid contrast to the Oak and printed aluminium, and was carefully fashioned by EVM’s master cabinetmakers to interlock with the other components before being carefully polished to a pleasing mid-sheen. 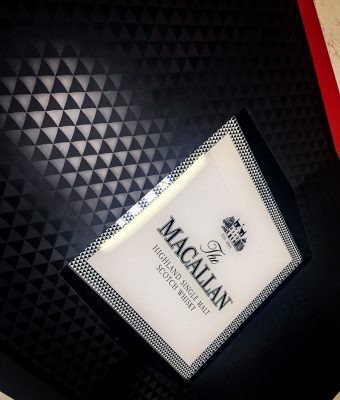 The Macallan whisky bars upheld the tradition of unsurpassed quality associated with the world’s most revered single malt. 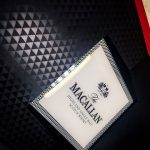 EVM is naturally proud and privileged to be associated with The Macallan’s continuing success story.